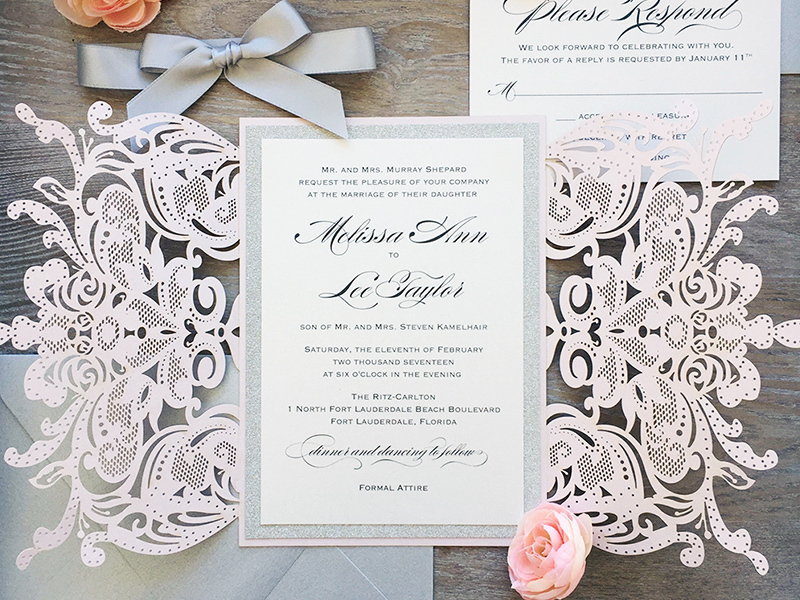 PAPER & LACE is a boutique invitation company based in Ft. Lauderdale, Florida specializing in lace invitations and event stationary for weddings and special occasions. All designs are personally created by Michelle Espinosa, Founder and Creative Director. As a former bride and fashionista, Michelle is passionate about design and dedicated to providing excellent customer service. We offer one-of-a-kind designs that express your unique style and vision surrounding your event. Each invitation embraces the latest trends with a hint of originality, creating the most elegant expression known to paper. 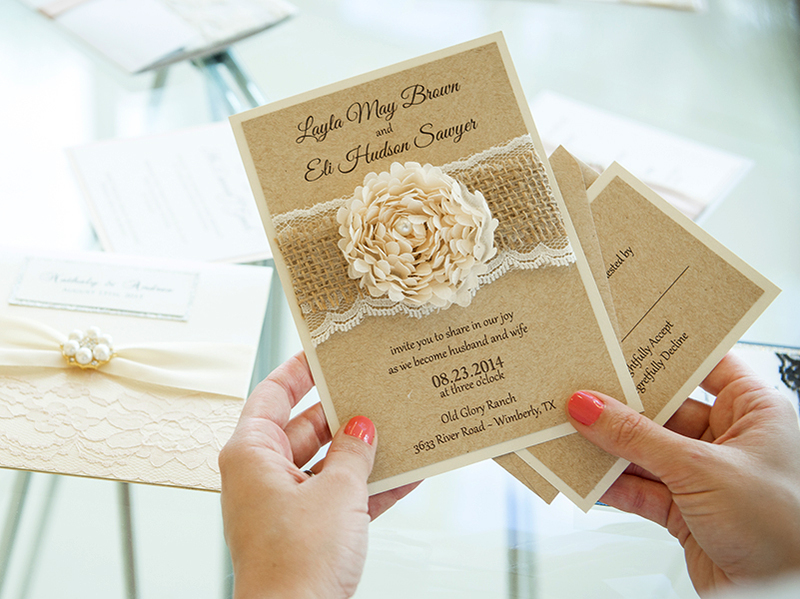 You will work one-on-one with our lead designer to perfect your invitations. Feel free to call or email us at any time with questions or anything else you may need. Your happiness and comfort is our goal, and we are here to help. 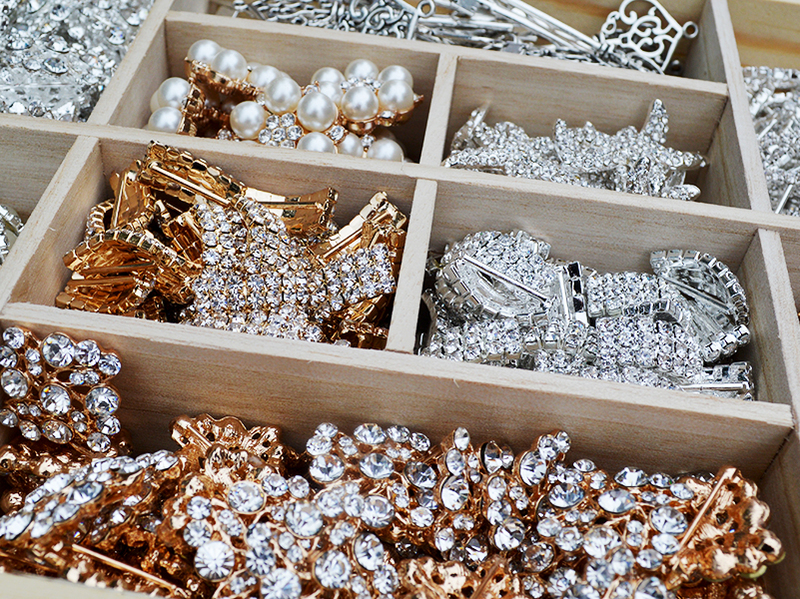 To ensure superior quality, all our embellishments are hand selected by our lead designer. Some of our luxurious materials include Swarovski crystals, rosette lace, double faced satin ribbon, pearls, and rhinestone brooches. 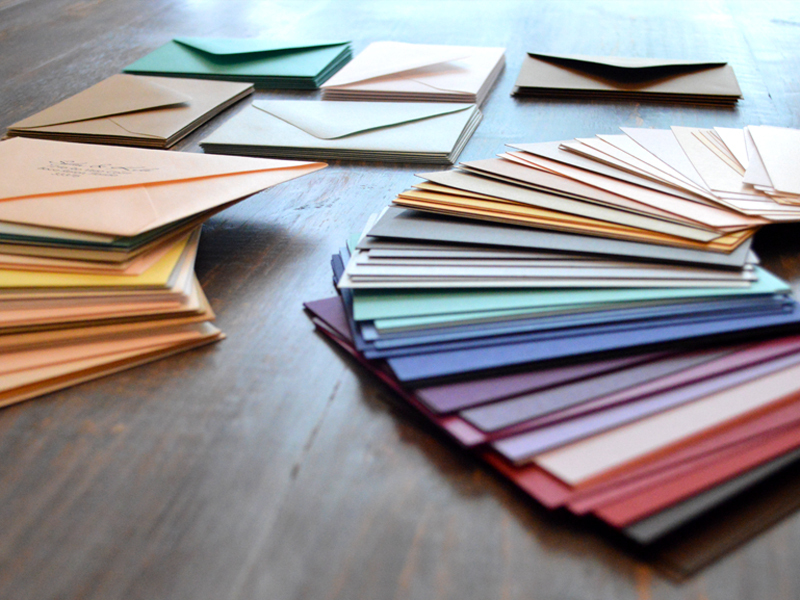 All of our stationery is printed on the finest quality cardstock and envelopes. 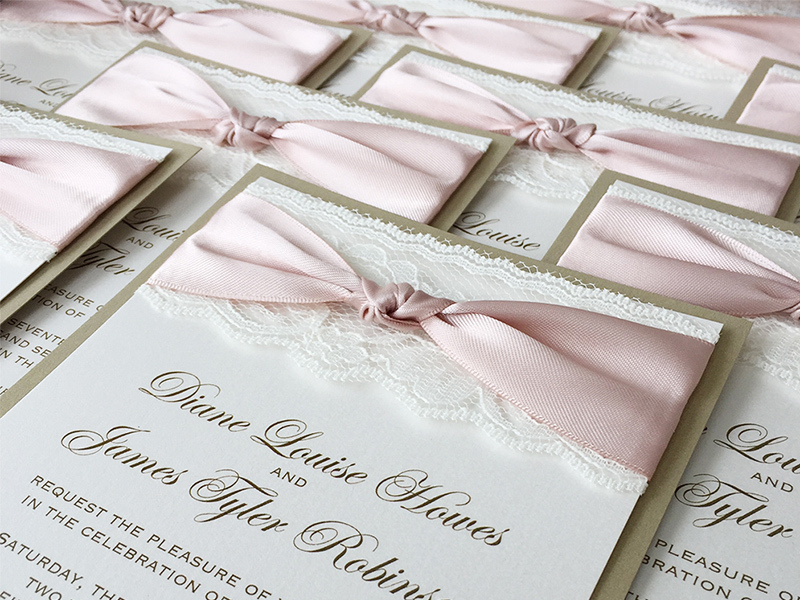 Choose from our Signature Shimmer or Matte cardstock to pair with our unique selection of fonts. We also provide a glitter option for that extra sparkle. Assembled with love and care, every inch of our hand-crafted creations are made and inspected upon with extreme precision before being packed and shipped. We are a team of perfectionists, loyal to our promise. Not only do we strive to go beyond your expectations in delivering the perfect product, but we also seek to be a part of an everlasting memory that starts with a neat presentation, fully assembled and ready to be shared.